A 23-year-old teacher from Auckland who thought she'd give beauty pageants "a go" has been crowned Miss Universe NZ. Tania Dawson took out the top prize on Saturday night at a glitzy event at Auckland's Sky City Theatre, which included guest appearances from Stan Walker, Ali Harper and Frankie Stevens. 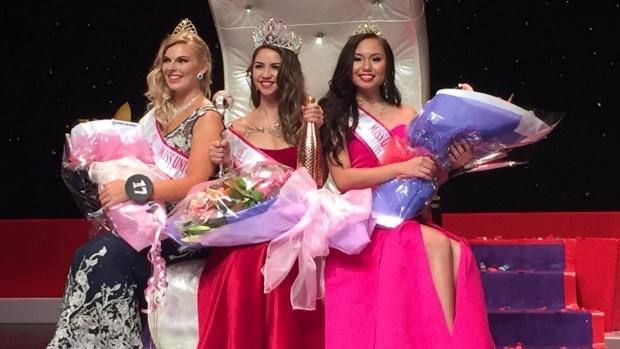 Dawson triumphed over the competition's final five, surpassing runner-up Seresa Lapaz, 24, Tauranga-based beauty queen Larissa Allen, 25, fourth place Christchurch contestant Gabrielle Kerdemelidis, 24, and fifth place recipient, Aucklander Jade Norman, 24. "The competition has encouraged me to step out of my comfort zone," she said. "I thought I'd give it a go and next thing you know, I was enjoying them." In keeping with previous competitions, the internationally-inspired pageant enabled competing contestants to receive a taste of the global competition circuit, offering annual pageant retreats overseas, in both Thailand and the Philippines. This year's judging panel included singer Frankie Stevens, PR personality Anna Jobsz, make-up artist Samala Robinson, body confidence ambassador Areena Deshpande and make-up artist and lifestyle coach, Evana Patterson.